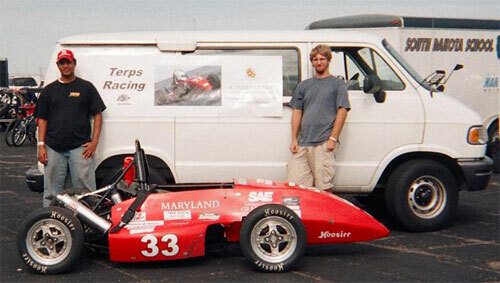 Bryan Hise and Michael Cook show off the Terps Racing formula vehicle. 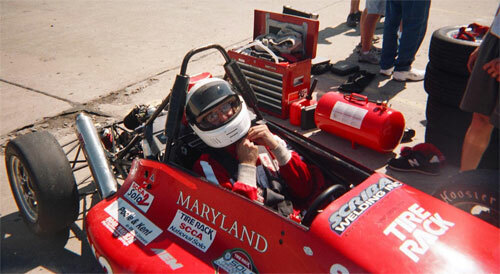 Michael Cook prepares for a race. 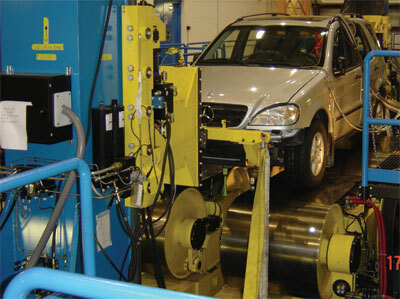 The 2005 entrants in the Tire Rack SCCA Solo2 National Championships. 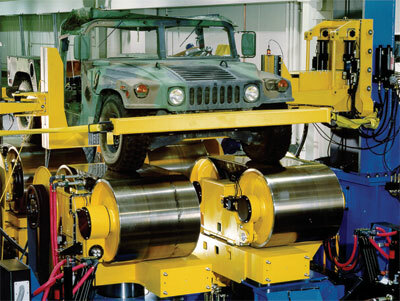 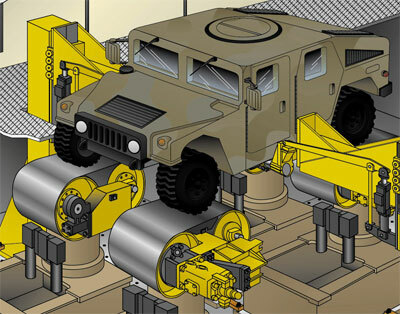 A Jeep rides on the Roadway Simulator's treadmill actuators. Test vehicles 'drive' on the Roadway Simulator's four treadmills. 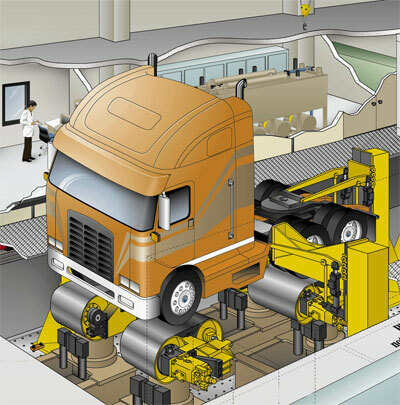 The Roadway Simulator can test up to 80,000 pound tractor trailers.